Brian Moore is an Expert & Licensed Bee Removal Professional using natural methods to remove Bee Hives, Bee infestations, Africanized Bees and Wasps. Bee Removal Services – Bee Hive Removed from a Wall in a Home in Riviera Beach. Queen Bee, Honey Comb removed from a Home. 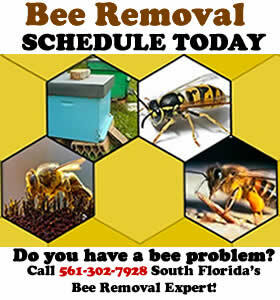 We are a South Florida Tri-county area Professional Bee Removal Company and also Bee Control & Removal Specialists. We Specialize In Live Bee Removal, Bee Control, Hive Removal, Wasp Control, Wasp Nest Removal, Bee Extermination, & More!